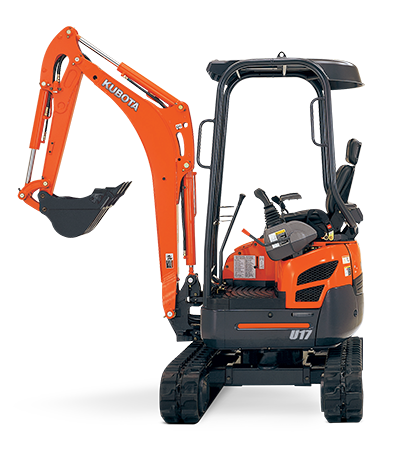 The Kubota U17-3 mini Excavator is easy to use and ideal in tight access areas. The U17-3 is great for small jobs in and around the property; it comes with rubber tracks, which makes for comfort while operating and minimal surface scarring. Perfect for tight spaces, the machine can go from 990mm-1200mm in width and has a Height of only 2340mm (including canopy).